25-28mm Historical There are 25 products. The Drawbridge (Drawbridge, gate, chains, winch and two operators. 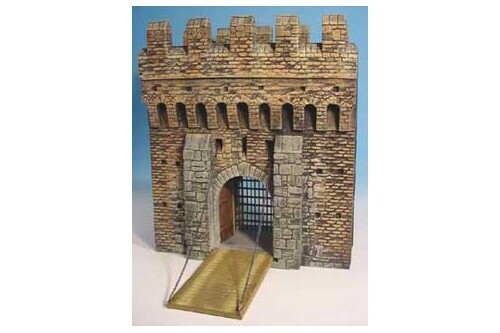 The box contains: the drawbridge, the chains, the grating, the winch for lifting, and operators. 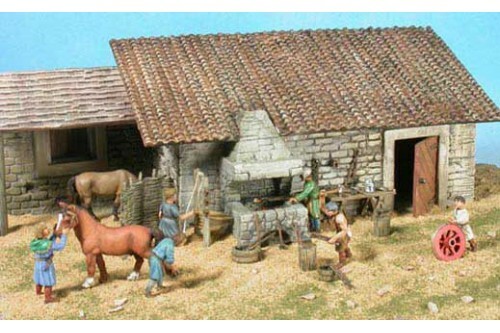 The Barbican is not included in the package. 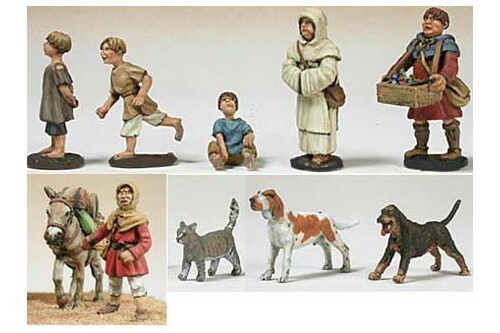 Medieval village people: contains 7 miniatures, 1 mule, 2 dogs, and cat. 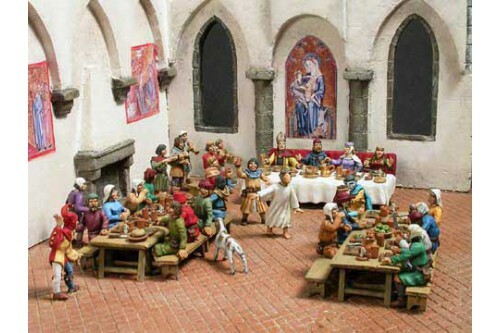 Medieval Banquet (it contains 30 caracters, tables bancks and others accessories). 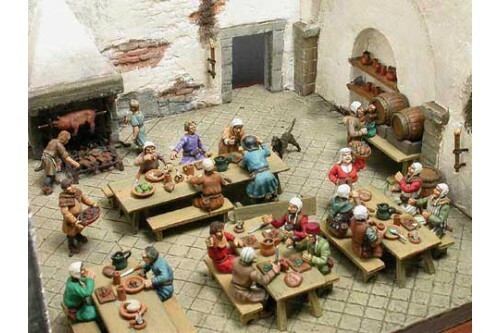 The medieval Tavern (it contains 20 caracters and all the accessories). 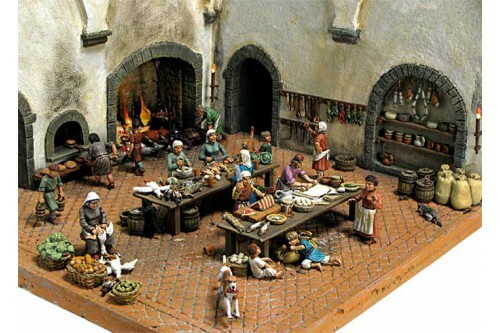 The Medieval Kitchen (14 caracters, animals, and a lot of accessories). 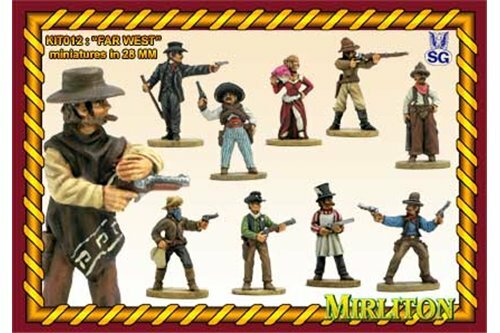 Gunfighters and characters of the Old West (ten different miniatures). 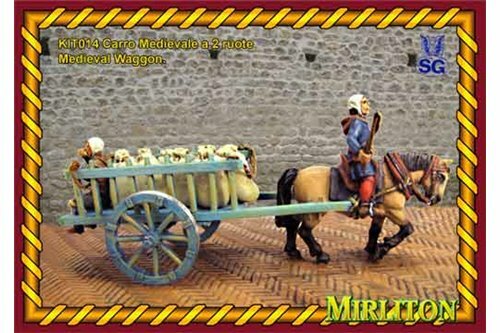 Martinella bell wagon 1250 - 1260. 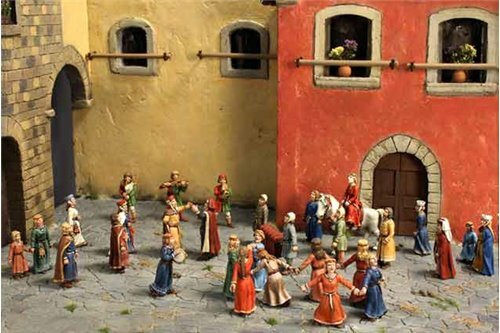 The Medieval Marriage XIII Century.